Dasyn joined HandMade Japan on July 22 to 23 at Tokyo Big Sight. 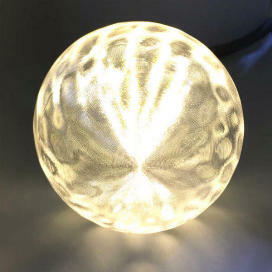 Dasyn exhibited and sold bulbs and lamps with sparkling 3D-printed shades. Three types of lamps, i.e., ones for AC 100 V, ones for DC 12 V, and ones for coin batteries, were displayed. 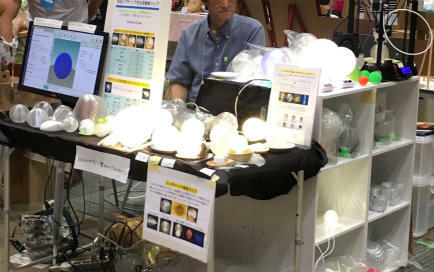 I recommended customers to replace filament and fluorescent lamps by designed LED lamps, and I also offered to design LED bulbs by themselves. I accepted one on-the-fly design order of a lamp with batteries, but no other orders.